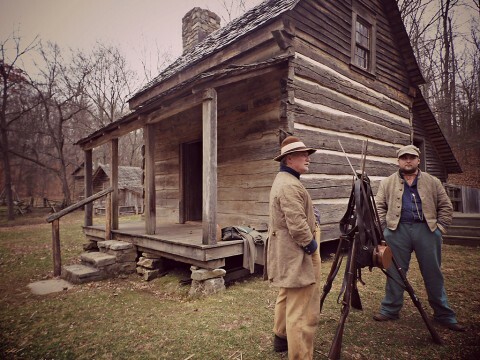 Land Between the Lakes, KY/TN – Civil War Comes to The Homeplace on Saturday, December 12th, from 10:00am-3:00pm at Land Between The Lakes National Recreation Area. Visitors can stroll around the farm and see it as it would have appeared during the war years. Local historian, Susan “Ski” Witzofsky, will present War Between The Rivers at 1:00pm in the Homeplace Theater. Programs included with paid admission: $5.00 adults, $3.00 ages 5-12, and free ages 4 and under. Fourth grade students can go to www.everykidinapark.gov, get their 4th grade pass, and get in for free. For more information visit www.LandBetweenTheLakes.us click on Calendar, and go to December 12th events, Civil War Comes to The Homeplace, or call the Homeplace 1850s Working Farm at 931.232.6457. To find more information about Land Between The Lakes, log on to the official website at www.landbetweenthelakes.us or call toll-free at 1.800.LBL.7077 or local at 270.924.2000. For more information on the Friends of Land Between The Lakes, log on to www.friendsoflbl.org. To subscribe to the official electronic newsletter, send an email to LBLinfo@fs.fed.us. Land Between The Lakes official Twitter accounts include @LBLScreechOwl, @LBLNature, @LBLHomeplace, and @LandBtwnLakes, and Pinterest www.pinterest.com/lblnra. Photos are available on Flickr for downloading at https://www.flickr.com/photos/lblkytn/sets.